Apply to drive with Lyft. Take photos of each of the documents below and upload them in the Dashboard. Drivers are required to have a valid driver's license. A temporary license is acceptable, but be sure to upload your permanent copy when you receive it. Drivers are required to upload a copy of their vehicle registration. Drivers are required to have personal vehicle insurance. Lyft requires a photo of all drivers. Your driver photo is a passenger’s first impression of you when they request a ride. Lyft will notify you when you've been approved as a driver. Until then, you can check your application status for updates. Drivers are encouraged to display the Lyft emblem while in driver mode. The Lyft emblem is Lyft’s official trade dress. It helps passengers and law enforcement identify your vehicle. 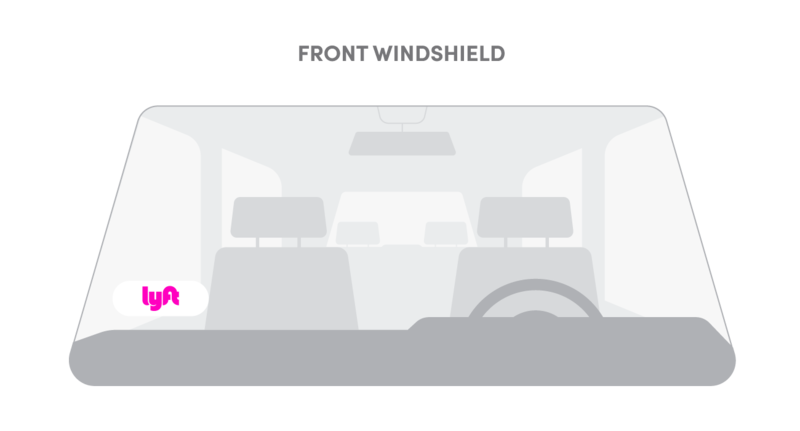 The Lyft emblem should be displayed in the lower corner of your windshield on the passenger side every time you enter driver mode. Make sure to remove the emblem when you are not in driver mode.